New UFO videos are showing up on YouTube daily, with descriptions that make them seem truly out of this world — but are they really? Open Minds.tv uncovered the translated ePrice coverage of this “event,” noting how the diamond-shape appearance of the UFO may have been caused by an effect of the camera aperture as it moved in and out of focus. “The first thing I noticed was the changing colors and flickering of the object,” Dantonio told HuffPost in an email. 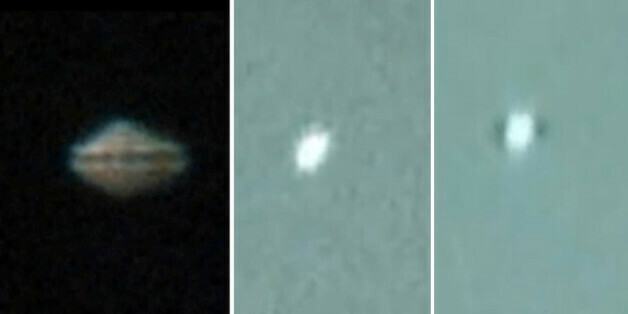 SAUFOTX — a possible acronym for San Antonio UFO Texas — described the object as a UFO-Orb. “The object is not moving at any terrific speeds and not demonstrating any specific movement that calls it out as anything other than a high flying balloon. When it comes to UFOs, seeing is not always believing — it’s generally something that can be easily explained.